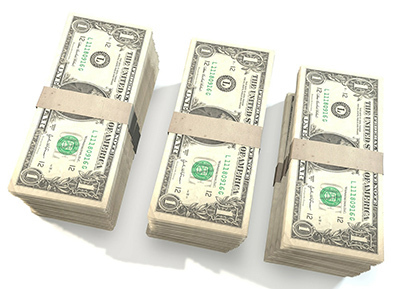 Special Patronage Cash-Back Payment | Midwest Electric, Inc.
We’re returning another $1 million in patronage cash back to Midwest Electric members in late March/early April. (Checks are mailed March 21.) The average residential member from 2018 will receive a $71 check. This $1 million patronage cash back is in addition to the $1.5 million cash back (bill credits) we paid out in November. This $1 million is due to the high margins we had in 2018. Even though we’re not-for-profit, we need to generate a small profit (margins) to help pay for electric system reliability upgrades. But those margins still belong to you, the member-owners. We had budgeted $2.6 million in margins for 2018. Due to high sales and lower expenses, our actual margins came in at $3.6 million. We could’ve just kept it at that, and returned the $3.6 million to you at a later date. We’re currently on a 16-year patronage cycle, so that would be the year 2034. But since 2018’s margins are so much higher than budget, our equity position is healthy, and returning a portion of the margins to you now will not impact electric rates, we decided to return $1 million today. We’re in a good financial position to be able to do this. This doesn’t mean 2018’s higher margins were caused by our electric rates being “too high;” rather, sales were much higher than expected and expenses lower. In fact, we haven’t had a rate increase since 2010. This $1 million patronage cash back will go to those who were members in 2018. The amount you receive is based on the amount of electricity you used in 2018. The average residential member will receive $71. (Amounts under $20 will be a bill credit on the March electric bill.) The average small commercial member will receive $631. Our larger commercial accounts will get thousands of dollars back. This is a special, one-time event. This is the first “special retirement” we’ve ever done. (Patronage retirement is a fancy word for cash back.) It’s not likely that this would happen again next spring. We typically return at least $1 million to you every November in our “general retirement” and at this time, we expect to continue that. Those payments go to members for electric use from 16 years ago. If we do a “general retirement” this November, it would likely be for electric use in 2003. 1. ) On your electric bill mailed in late March, near the top right on the bill, is the amount of 2018’s margins that have been allocated, or assigned, to your patronage account. This amount is payable to you at a future date, as we’ll be using it to pay for electric system reliability upgrades over the coming years. As a consumer-member, all the margins you pay us throughout the year – above our operating costs – are tracked and entered into a special patronage account earmarked for each individual member. This is patronage allocation; we do it every year. 2. ) You’re getting a check in late March/early April, as explained above. This is the amount of your 2018 allocated margins that we’re retiring (or patronage cash back) this year. The remainder of your 2018 allocated margins are payable at a future date, such as 16 years. The patronage cash back you’re receiving represents 27% of your 2018 allocated margins; the rest is payable to you at a future date. The patronage allocation and retirement are examples of The Cooperative Difference. You won’t get this from an investor-owned utility (AEP and DP&L), nor from municipal electric utilities. Only electric cooperatives have this member-owner aspect and all the benefits that come with it. Since our last rate increase – 9 years ago – we’ve invested more than $17 million in electric reliability upgrades and returned $11 million in patronage cash back. I want to thank our employees for their high level of productivity and efficiency to help make this happen. And thank you to our board of directors, who ultimately made the decision to do this special patronage cash back. Please enjoy this perk of your Midwest Electric membership! Learn more about patronage cash-back and how we, as a not-for-profit cooperative, operate to return excess profits to YOU, our members.